Location: USA Anyone running a CS Flashlight offspring? Opinions? Size, bone, attitude? Location: Wyoming I've seen some. I would say they are better fit for dogging. I haven't seen very many in the barrel pen in our area, but I know they are out there. Just wondering if anyone had any experience with them. Location: Alaska I have a gelding out of CS Flashlight. He is by far the fastest horse I have ever dealt with. He is well built, sturdy, stocky, sound and is very good looking. He is easy going until it is race time. He gets on the muscle when it is his turn to race, but you can still walk him into the arena and walk him out when you are done with your run. He is very easy to train also, I started running him on poles every now and then, and he is running 21 second times with little to no practice. My guy does seem to have a glitch in the system though. We have had some issues with our first can (only in outdoor arenas) that were pretty intense, but we are working through it and hopefully have a handle on it at this point. I can not tell you if these issues were nature or nurture, but they have been a b*#%h to work through. Location: USA Do you mind telling me what his Dams side is? Wonder how they would be crossed on cow bloodlines? 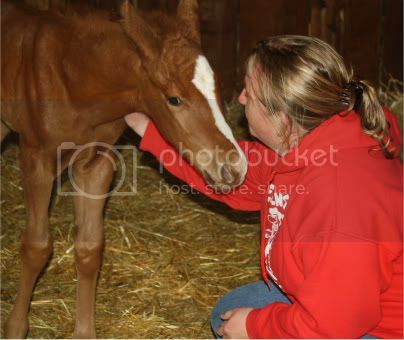 My geldings registered name is Berts Flashlight #5182731 if you wanted to look up his blood lines. There is no TB blood until four generations back all QH. You can PM me if you want more info. He is an interesting pony, very cool. Please tell me his barn name is Jax. Location: Smack in the middle of WA! Sweet. I think he needs to come live with me. I've wanted a CS Flashlight baby for a while now & I love his name. I'll arrange for a shipper. ?? Haha! Not quite ready to let go of him yet! He's a pretty special boy who was born at a down time in my life. I'm sure he will stay until he is an old man. I'm a huge SOA fan and couldn't resist giving him his great name!